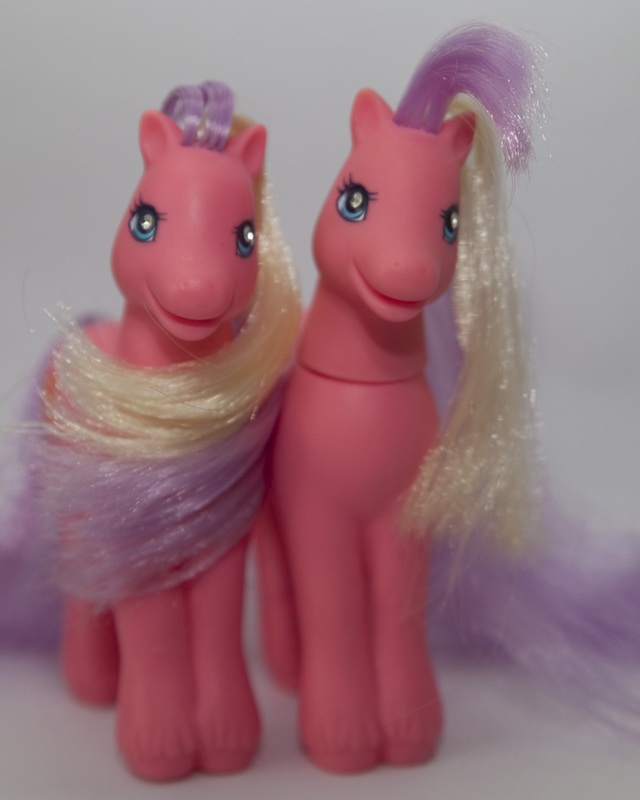 It's quite obvious what that means, but are some examples of the differences between the ponies. It's not completely clear if their distribution was per region (single manes - US, double manes - EU). Both the Secret Surprise and Magic Motion sets had these variants. 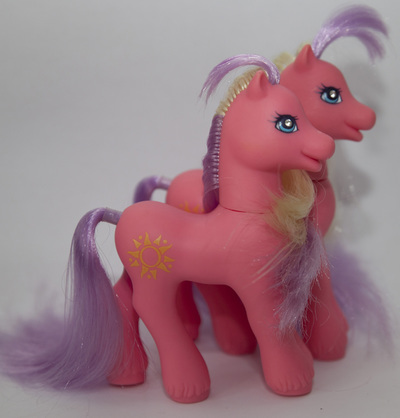 The double-maned pony is usually smaller than her single-maned counterpart. You might have a CMaT pony with a circle on her chest, or... you might not. I still have to make a comparison.